The Lilly Family School of Philanthropy & School of Public and Environmental Affairs invite you to join us for a special Workshop in Multidisciplinary Philanthropic Studies. 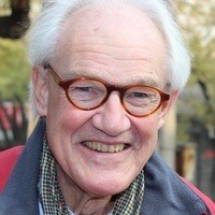 Thomas P. Boje is professor in sociology at Roskilde University, Denmark and has previously been professor in sociology at Umeå University, Sweden, an American Studies Fellow at Harvard University, Jean Monnet Fellow at European University Institute, and chaired several EU—framework projects during the years on work-life balance, civil society and welfare policy. Strong civic organizations and active citizens have been one of the cornerstones in the building of Scandinavian democracies. Characterized by a combination of regulated market economies and strong public sectors the Scandinavian countries are often portrayed as an exceptionally successful institutional welfare mix of state, market, and civil society with high capacity for securing economic growth in conjunction with equality and good governance. However, this stable and high level of civic engagement hide significant changes in recent years in the composition of volunteers by age and education, the time used on volunteering, and the organizational setting in which voluntary activities take place. These changes raise questions about the integrative role of volunteering and about the type of civic engagement that can most appropriately ensure social integration and a cohesive society.